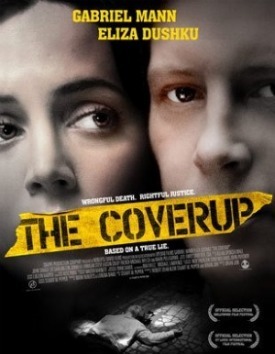 The next showing of The CoverUp wil be on Sunday, March 30, at 6am (EDT) on Lifetime Movie Network. Mark your calendar -- and tell your friends and family -- so you don't miss this compelling real-life drama regarding how Justice sometimes wears a blindfold. DRAMATIC NEW EVIDENCE: January 10, 2012: Review and Analysis of the Thacker Case, by renowned forensic pathologist Dr. Cyril H. Wecht, M.D., J.D. 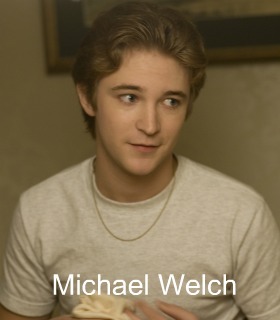 October 29, 1983: An unarmed, defenseless young man from a white middle-class family in Des Moines, Iowa, who had just been arrested by Marshalltown, Iowa police officer Kendall Eldred for driving while intoxicated, was found murdered in the alley behind the Marshalltown police station. The police promptly denied any knowledge or responsibility. The cover-up began. A grave injustice was then perpetrated by the Marshalltown Police Department and the FBI. No criminal charges were ever brought against Officer Kendall Eldred. The local district attorney refused to investigate. The Federal Bureau of Investigation swept the case under the rug. Eldred remains free to this day. Kendall Eldred, and his accomplice Detective Darrell Templeton, must go to trial for their crimes. This movie was made in the hopes that responsible people in authority will re-open the FBI investigation and convene a federal grand jury. The website for The CoverUp is intended to give the viewer comprehensive information about the Kevin Thacker case trial and its aftermath. 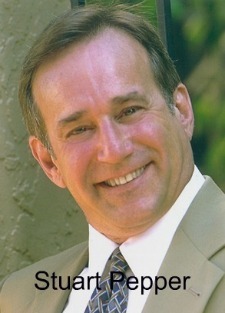 This includes pretrial depositions of police officers involved in the cover-up; the entire trial transcript; important court filings in the trial court and appellate court; the FBI investigation and results; relevant court exhibits, including actual photographs and medical records; and, the actual booking video taken by Eldred just minutes before Kevin was found near dead in the alley. The trial was covered daily by the Des Moines Register and the Marshalltown Times-Republican. Thomas and Beverly Thacker, the parents of Kevin Thacker are deceased, and this movie is dedicated to their perseverance in proving that their son was murdered by the police. And you will find many photographs of the actors and crew, who did such an excellent job in making this movie come alive. Brian Jun is to be given particular praise for directing, contributing to the editing and writing, and the wonderful trailer I hope you will view. I wish also to give to my Beverly Hills attorney, Walter Batt, special recognition, for without his superb representation this movie would not be. After looking at the totality of evidence in the case, I am sure you will come away with the feeling that something very seriously wrong has taken place, and that it is time the FBI be put on the hot seat and explain how they came by their utterly preposterous conclusions. If you don't like being lied to and made a fool of by the FBI, then join us in insisting that they can't get away with this. 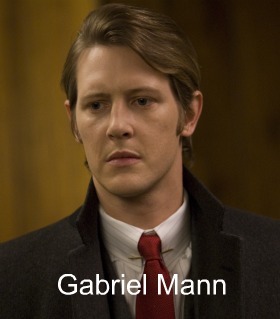 First, we hope to provoke your interest in the newly-released movie "The CoverUp", starring Gabriel Mann and Eliza Dushku. This movie is the true story of the mysterious death of Kevin Charles Thacker while in police custody in Marshalltown, Iowa. Second, and more importantly, we shall attempt to instigate a ground-swell of activism dedicated to the opening of a senate investigation into why the FBI made the conclusions it did. When you see the enormity of evidence that calls for a re-investigation, you can help make it a reality. Call, write or email each member of the Senate Judiciary Committee, which has oversight of the FBI. Call your congressperson. Write your senator. Join our Facebook page. Tweet about the movie and the developments surrounding it. Exhort your friends and family to watch the movie, and then get involved. Please use this site as your gateway to the mountain of evidence incriminating Marshalltown policeman Kendall Eldred and his partner-in-crime Detective Darrell Templeton in the cover up of Mr. Thacker's death. Within this site, you will find film clips, photographs, trial transcripts, police and FBI reports, forensic analyses, and much more.